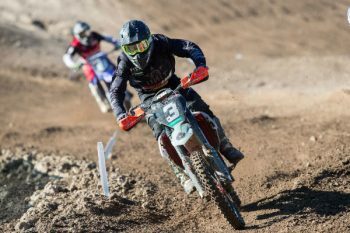 Raceline Pirelli KTM have wrapped up their only home race of the season, with a double header (Rounds 7 and 8) of the Pirelli MX Nationals taking place at Ranch MX at Raymond Terrace over the weekend. With both MX1 and MX2 classes now reaching the business end of the championship, both team riders Jayden Rykers and Mitch Evans utilised the revised schedule and two days of racing to collect valuable points, ahead of the final two outings of the year taking place in the coming weeks. 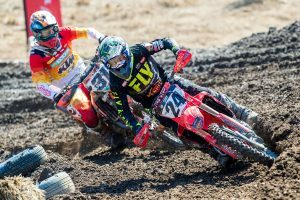 The weekend’s racing schedule was split across two days, with each class racing once on Saturday, then hitting the track for three motos, including two back to back races on Sunday. With Saturday hosting practice and qualifying, Evans again appeared in Raceline Performance Superpole where he finished in second with a 1:44.662 lap time – then to finish off Saturday’s events, Evans charged to an impressive third position in moto one, setting him up well for the remainder of the weekend. On Sunday Evans managed a sixth in race two, followed by 5-3 results in the back to back motos, handing him a fifth overall for Round 7 and fourth overall for Round 8, only narrowly missing the MX1 podium. 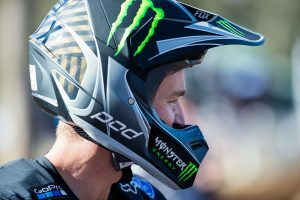 Evans sits in third in the MX1 championship standings with two rounds of racing remaining. “Saturday didn’t start off great, I had a crash in practice and bent everything up and by the time we got everything back together the green flag had come out for qualifying – but I managed to do enough and get into Superpole where I finished second,” Evans explained. “In my first race I didn’t get the best start but I made up for it in the first few turns and I was in second behind Dean Ferris for a lot of the race, then I just made a couple of mistakes and Brett Metcalfe got by me but I really felt like I could pressure those guys to make passes, not just ride at the same speed as them. “On Sunday I didn’t have the best starts, and on the weekend they were really important. The track was quite flat and fast so everyone could sort of flow at similar speeds. In the last race though I just went for it, and came from outside the top five back to third. 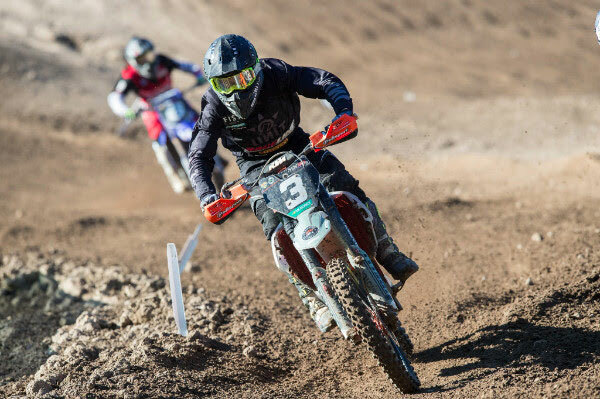 Raceline Pirelli KTM’s Rykers had one of his most consistent weekends of the season at Raymond Terrace, utilising his experience at Ranch MX to his best advantage. Despite being one of the fastest riders on track on Saturday, Rykers was unfortunately penalised in qualifying, handing him 13th gate pick for the weekend. Thankfully Rykers had his starts dialled in at Raymond Terrace, crossing the finish line in fourth in moto one on Saturday – one of his season best results. On Sunday Rykers remained inside the top ten in the MX2 class once again – finishing 9th in moto two, followed by 9-8 results in the two back to back races which eventually saw him conclude Round 7 in sixth overall and Round 8 in ninth. “Saturday started off not too bad, it was a shame about being penalised, but I was seventh off the start in my first race, I found my groove and made it into fourth,” Rykers shared. “It was a track that was very difficult to pass on so we were really happy with fourth. Then on Sunday in my first moto I was in about fourth but I just struggled to find a set up that I was comfortable with on the track. “I pumped up a bit in my races but all in all it was definitely a step in the right direction – it’s nice to walk away from a race healthy and not worrying about any new or old injuries. “I actually really enjoyed the format on the weekend, but not so much the track that it was on – it was quite one lined and difficult to pass on which meant that it wasn’t as good of a race track. The team will now begin preparation for the ninth round of the 2018 Pirelli MX Nationals which will take place on August 5 at Gladstone in Queensland.